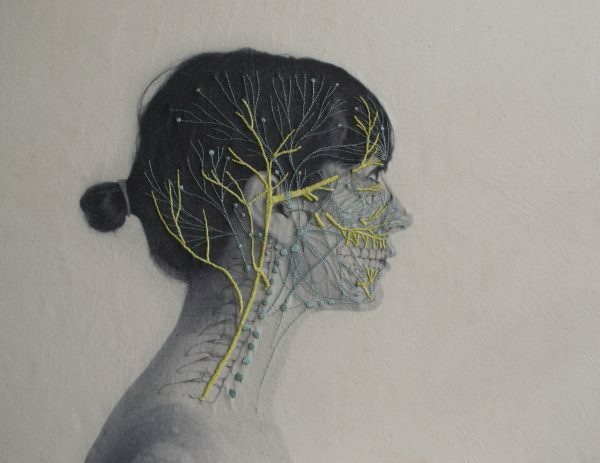 Self Portraits Embroidered With Images of Blood Vessels, Bones, and Muscle Tissue #ArtTuesday « Adafruit Industries – Makers, hackers, artists, designers and engineers! Artist Juana Gómez turns her gaze inward in order to understand the larger systems that compose the outside world. 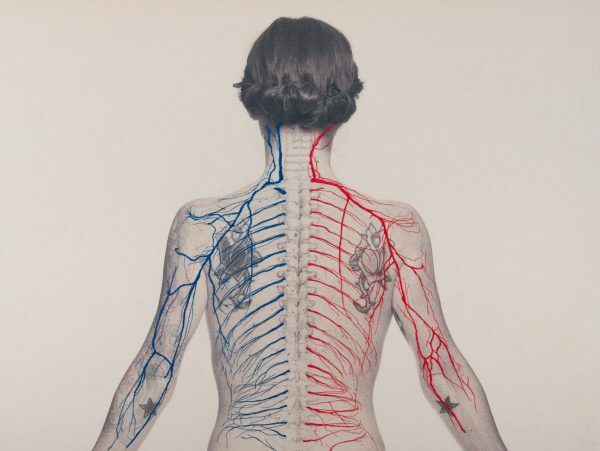 She embroiders the bones, muscles, veins, and synapsis that lie below her skin onto self-portraits, tracing her biological structures as a way to translate the similar patterns found in nature and modern civilization. Gómez first photographs sections of her body—face, torso, hands, legs, feet—which she then prints onto loose linen or another similar fabric. Next, she embroiders onto her duplicated skin, stitching brightly colored thread over her tattooed body (an element which adds another layer of texture to her personal works). In addition to these embroidered self-portraits, Gómez has also created an in situ thread-based work titled Cultivo. You can see both methods of her practice on her website.